The Scorpio is sounding like a legitimate step over the existing Xbox One. The Xbox Scorpio may live up to its ‘beast’ billing by Microsoft, if all of these insider reports turn out to be true. According to shinobi, who is a well known and well placed industry insider, the Scorpio may become the go to destination for multiplatform games, owing to its power making them superior to all other console versions on the market. “Phew, really excited to read up in detail on the Scorpio tomorrow”, Shinobi tweeted. “With what I’m hearing, I’ll certainly be getting multiplats on it,” he said, before adding that “It’s made to benefit XB1 level games. 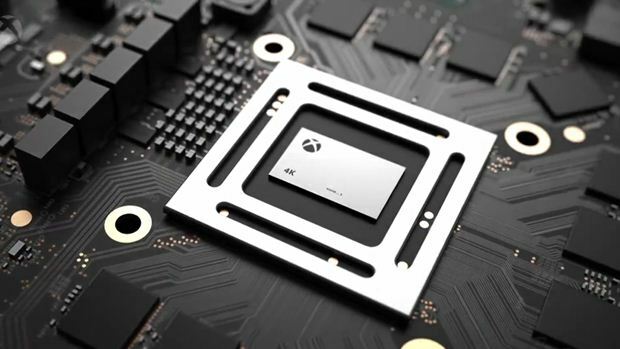 Sounds like it’ll run most games at native 4K no problem w/ room to spare for other visual [improvements].” In turn, what this means is that Scorpio will probably have far more enhancements over Xbox One games than the PS4 Pro sees over the existing PS4. But we’ll have the hard facts tomorrow morning, when Digital Foundry takes the wraps off of the Scorpio at last. Stay tuned to GamingBolt, we will keep you updated on all the latest and greatest.